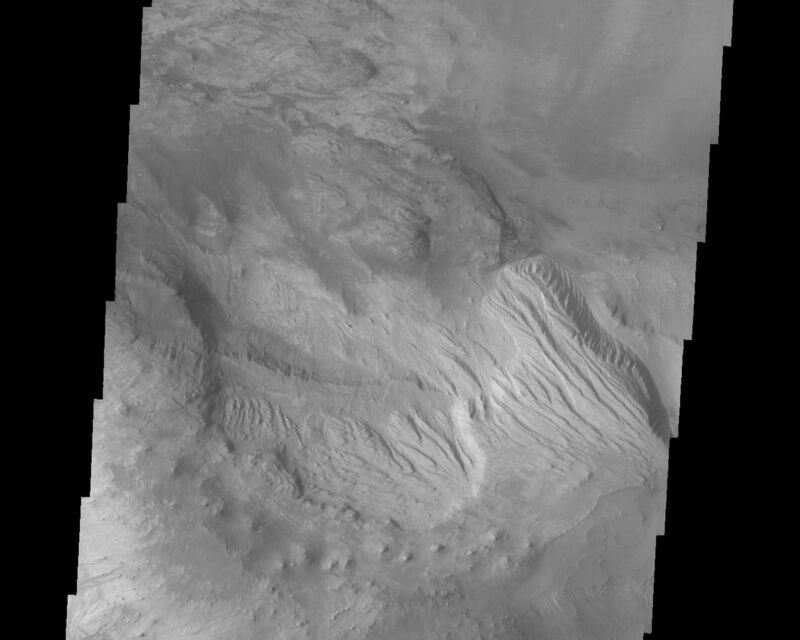 This image shows an area in Candor Chasma. The imaged area is close to the depression that connects Candor and Melas Chasmas together. 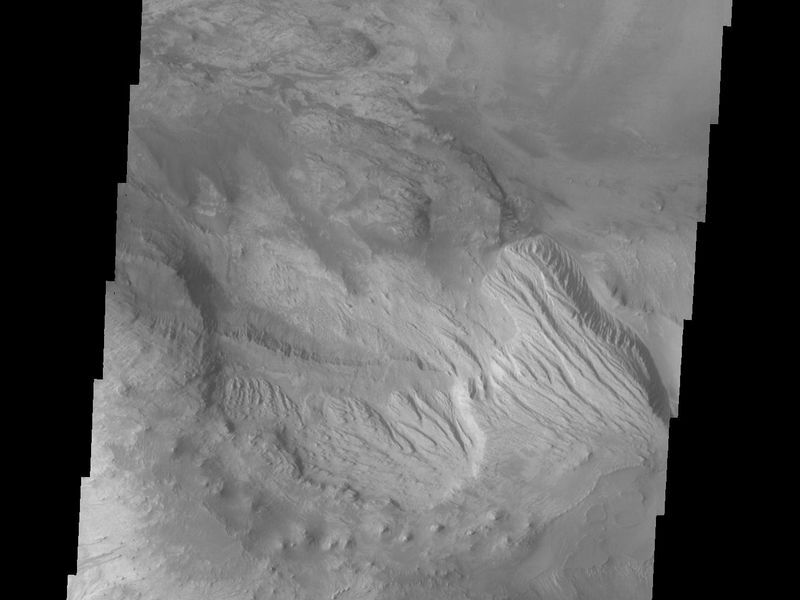 The image's top part shows parts of one of the large deposits that lie in the middle of Candor Chasma. 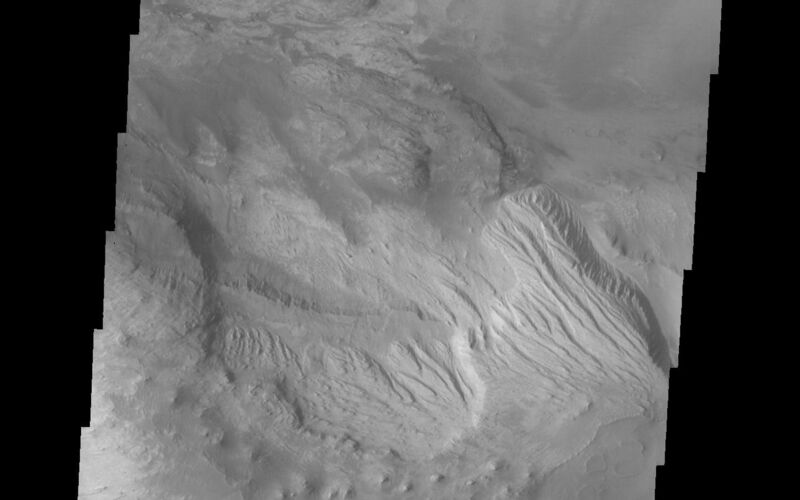 Wind etched lines and gullies can be seen on this downward sloping area. The image's middle part show another layered deposited area with dunes on the Chasma floor around it. Image information: VIS instrument. Latitude -7.1, Longitude 288.8 East (71.2 West). 19 meter/pixel resolution.